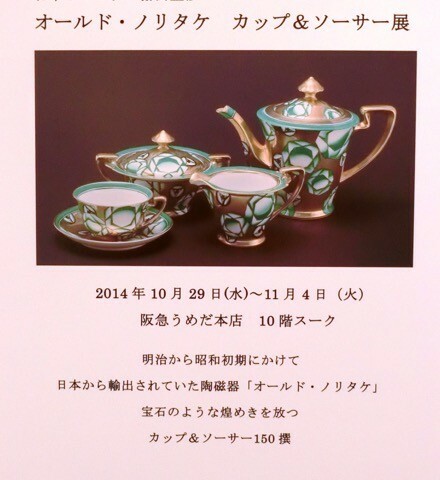 A special sales event titled “Old Noritake Cup & Saucer” will be held at Hankyu Department Store, Umeda,Osaka from 24th Oct to 4th Nov.
Due to my broken ankle, I have stay at home and, regret to say, I cannot attend. However, I submitted 10 some pieces and I am very happy anyone who will be interested, please pop in! !